The role of exogenous GSH in improving abiotic stress tolerance in maize was investigated in this study. 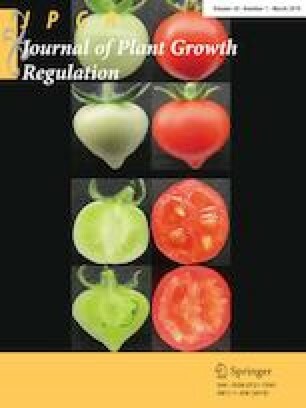 GSH-treated plants showed significantly higher germination percentage, survival rate, plant biomass, and grain yield per plant than control plants. The possible physiological mechanism underlying the tolerance phenotypes in GSH-treated plants were also analyzed in this study. GSH-treated plants showed reduced oxidative destruction, enhanced water retention, and increased activity of antioxidant enzyme, vacuolar H+-pyrophosphatase (V-H+-PPase), and H+-adenosine triphosphatase (V-H+-ATPase), compared to control plants. In addition, the accumulation of abscisic acid (ABA) and the expression of ABA-responsive genes were upregulated by GSH treatment. These results suggested that GSH played a role in relieving oxidative destruction, maintaining plant water content, and promoting higher ABA levels, which were responsible for GSH-enhanced tolerance to abiotic stresses in maize. The online version of this article ( https://doi.org/10.1007/s00344-018-9832-9) contains supplementary material, which is available to authorized users. This work was supported by the National Natural Science Foundation of China (31771797, 31401388) and by the Natural Science Foundation of Shandong Province (ZR2017BC099).